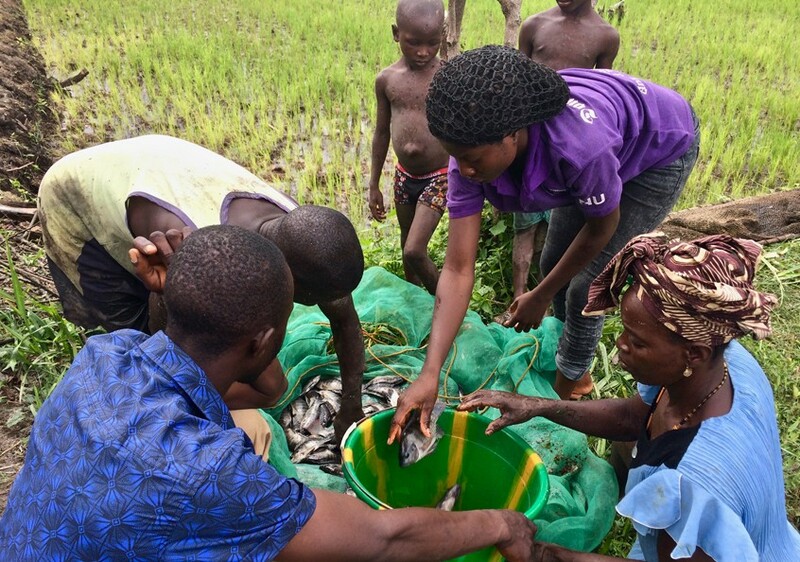 Yeanoh works with farmers Samuel Koroma and Adama Bangura in Manasi to count and weigh their Tilapia harvest. In Sierra Leone, nearly half the population is food insecure and nearly one-third of children under five years old are chronically malnourished. Malnutrition rates are even higher in the poorest and most food insecure districts, such as Tonkolili District in the north. 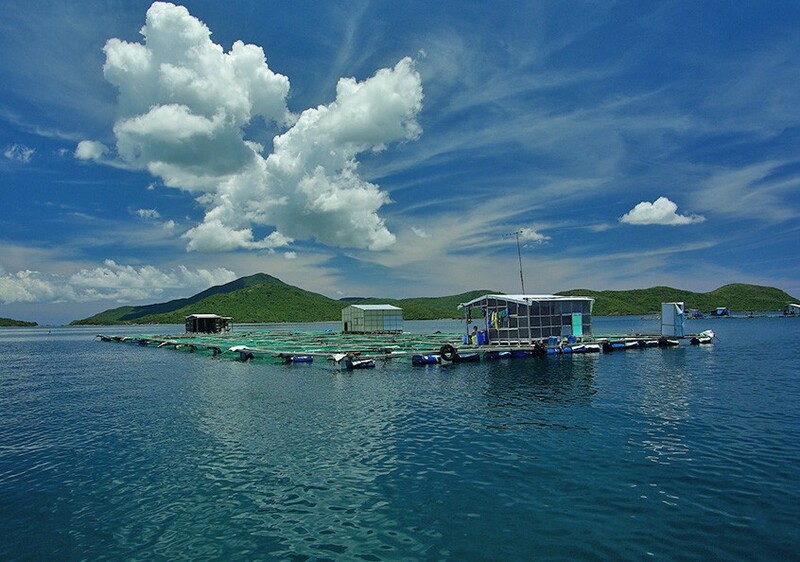 Aquaculture cages, Van Phong Bay, central Vietnam. Despite covering 71 percent of the earth, oceans account for a fraction of the world’s production of animal-source food, highlighting the vast potential to farm more fish in the ocean to meet future demand for nutritious food. 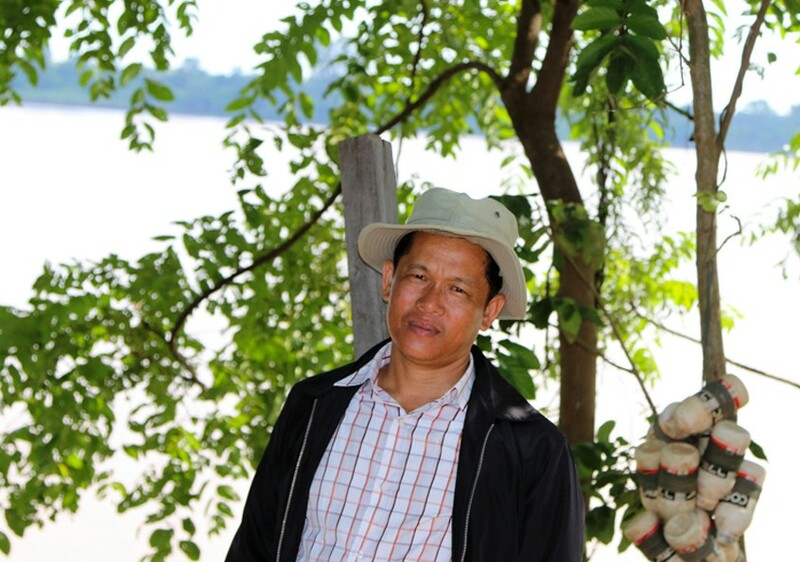 Pengly, a small-scale fisher from Khe village in northern Cambodia. Cambodia’s fisheries—some of the most diverse and expansive freshwater fisheries in the world—are under pressure from both population growth and rising demand for fish. As the need to protect these vital fisheries grows stronger, I meet one small-scale fisher who’s working to conserve fish stocks and combat illegal fishing in his rural village.